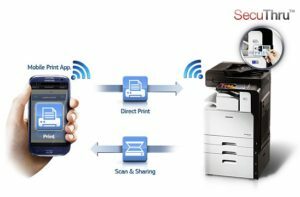 Is Mobile Printing Right for Your Business? Mobile employees need access to business documents, but “read-only” access isn’t enough. Mobile team members need to be agile: able to create, use, and share notes, invoices, and fact sheets. 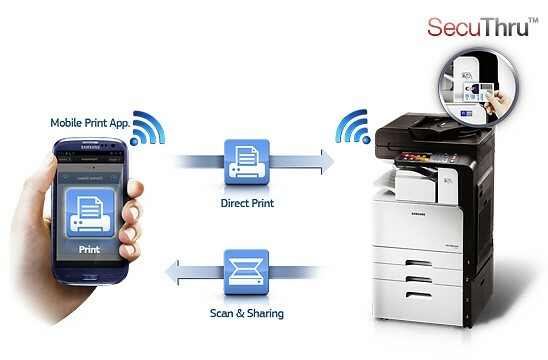 Mobile printing eliminates cumbersome workarounds (like emailing documents to yourself or a client) and can even allow guests and customers to print. Security — Passwords, ID cards, and two-factor authentication can all be leveraged in mobile printing solutions to prevent data loss. Of course, BYOD (Bring Your Own Device) policies are mandatory. Costs — Mobile printing can reduce hardware expenses by freeing your team to use smartphones and tablets instead of costly laptop computers. Ensure central management—like an MPS partner—oversees your mobile printing solution. Ease of Use — Depending on your needs, you may prefer email-to-printer, browser-based solutions, independent applications, or MPS tools to get your documents from device to paper. Features — Your solution can include functionalities like guest printing and eco-friendly rules, or your devices can be set up to keep your options simple. For more information regarding MOM’s mobile solutions, check out the Mobile page on our website. mobile printing is cool and can be very helpful to us. i didnt know much about it untill i came here. glad you shared this piece of info, needed it for my reserch writing. HI, i read your blog, nice information. Thanks for sharing this.